The Ross Tiger is one of our favourites, being a July date, close to the seaside, it’s a great event to bring the family to. They can wave you off in the morning and head down to the seafront for the day whilst you enjoy this awesome route around some of the finest hills in Lincolnshire, the Wolds. With a choice of three great routes, there really is something for every rider out there. The new shorter 25 mile route is a great taster for anyone new to cycling, you won’t have to worry about directions as our routes are heavily signed so you can just enjoy the ride. The 58 mile route shows you some fantastic climbs and lovely lanes around the Wolds before taking you to our Velo Cafe Style Feed stop where you can have a break, enjoy some great food and a cuppa before winding your way back to the HQ on some flatter roads than what you started on. The 107 Mile, long route is a proper test of ability as it dips you in and out of the Wolds no less than three times. This tiger certainly bites in the last few miles – you will have to ride it to find out. A greater taster of the Lincolnshire Wolds, if you’ve never cycled in this part of Lincolnshire, these routes will certainly show you that Lincolnshire definitely isn’t flat and has some great scenery and fantastic views. Photographs will be available after the event, to download, free of charge courtesy of Adie’s Photography, a top local cycling photographer. 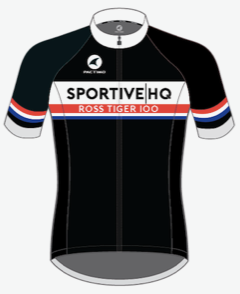 The Ross Tiger 100 is produced by Sportive HQ in partnership with the Lindsey Roads Club. Online entry closes at midnight on 4th July. A challenging route that finds riders diving into the Wolds a total of three times before returning to HQ. After the initial climb out of Waltham we give you a break for a short while until the split point when we hit the hills again! After darting straight across the Wolds we find you some rolling roads to have a short break before bringing you to the final sting in this tigers tail! Will you take on the challenge? Two well stocked feed stations are provided on this route at 35 miles and 74 miles. The first feed station stocked with sandwiches, crisps, fruit, cake, tea or coffee and SIS top ups. The second feed station has tea or coffee, cake, bananas, Haribo and more SIS so you’ll be ready for the final sting in this tigers tail! After the initial climb out of Waltham we roll you further down the course, if this climb has finished you off then stick with the 100km route, we promise no more climbs! A well stocked feed station offering sandwiches, crisps, fruit, cake, tea or coffee and SIS top ups should see you through to the end. After the split point we head east and stay on the flat away from the hills and take in some coastal views before returning to HQ. A bit more climbing on this route compared to Flat N Fast 63 mile route but a great achievement if its your first sportive season. The new short route, is designed to be accessible for everyone, it is clearly marked and has all of the support you would expect from a Sportive HQ event. You can order a Ross Tiger 100 jersey online and it will be delivered one week before the event! This Pactimo Continental Standard Short Sleeve Jersey is great quality. It is classed as a race fit jersey (quite tight) so if you want something a little looser then go one size up. Click here to order an event jersey.